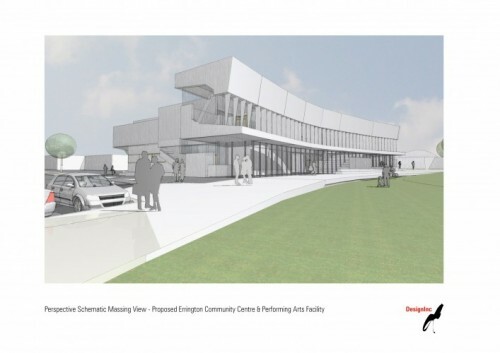 On 28 April Brimbank City Council awarded the contract for the highly anticipated redevelopment of Errington Community Centre in Princess Street, St Albans. The redevelopment is a major investment in St Albans. Once completed, the centre is sure to become a landmark facility providing accessible, flexible community spaces for all life stages. reconfiguration and improvement of existing facilities (halls, meeting and activity spaces, kitchens and toilets). The project also includes a civic entry plaza, landscape and site improvements to integrate the newly refurbished and expanded facility within a wider, cohesive Errington Precinct. Chair of Brimbank Administrators, Mr John Watson described the awarding of the $7million-plus contract to Devco Project & Construction Management Pty Ltd as a major milestone for the project. “We’re so pleased to award this contract so that we can move towards the construction phase,” Mr Watson said. The total cost of the project includes $2.5million from the St Albans Community Centre Co-Operative Ltd and a $500,000 Community Support Fund grant from the Victorian Government. Further funding for the project has been provided in Council’s 2014/2015 Budget and long term financial plan.